Scientists from around the world pay tribute to Erik Hauri, DCO Reservoirs and Fluxes co-Chair, who passed away earlier this month. Image credit: Steven Jacobsen/Northwestern University. 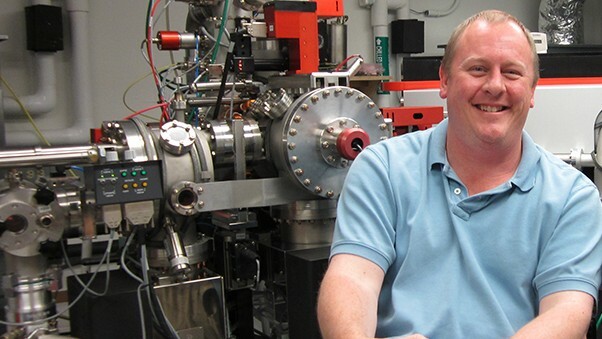 The Deep Carbon Observatory, Carnegie Institution for Science, and the broader scientific community are shocked and saddened by the sudden loss of Erik Hauri at age 52. Erik was at the zenith of his career when his contributions were cut short by his untimely death on 5 September 2018. Erik’s selfless leadership of DCO—as a member of the Executive Committee and co-chair of the Reservoirs and Fluxes Community—focused on answering the most important scientific questions and promoting early career scientists. DCO researchers continued to publish novel scientific results this month. Marie Edmonds (University of Cambridge, UK), Tamsin Mather (University of Oxford, UK) and Emma Liu (University of Cambridge, UK) discovered a distinct metal fingerprint in arc volcanic emissions. They propose that volcanic metal emissions are controlled by magmatic water content and oxidation state. Renbiao Tao (Université Claude Bernard Lyon, France) and an international team of scientists reported the formation of abiotic hydrocarbons by reduction of carbonate in subduction zones. The team observed the identical mineral assemblage associated with hydrocarbons in both naturally carbonated eclogite and high-pressure experimental run products, pointing toward the same formation mechanism. Based on high-resolution spectroscopy and microscopy, Bénédicte Ménez (Institut de Physique du Globe de Paris, France) and colleagues demonstrated that organic carbon is directly involved in low-temperature serpentinization reactions, which can produce molecular hydrogen and abiotic organic compounds that sustain microbial ecosystems in the oceanic lithosphere. Speaking of serpentinization, Susan Lang (University of South Carolina, USA) and William Brazelton (University of Utah, USA) are leading a deep-sea expedition to the Lost City hydrothermal field aboard research vessel Atlantis, along with the ROV Jason team from the Woods Hole Oceanographic Institution. The remotely operated vehicle will collect large volumes of hydrothermal fluids and rock samples, which will help establish connections between serpentinization and microbial life. You can follow the expedition online. Lastly, a mathematical model developed by James Bradley, Jan Amend, and Douglas LaRowe (University of Southern California, USA) considers physiological transitions between active and dormant states of microorganisms buried in marine sediments. The researchers showed that microorganisms can survive in a state of suspended animation over geologic time scales by slowly consuming nearby carbon compounds. We encourage you to nominate early career scientists for DCO Emerging Leader Awards. The deadline has been extended until 12 October. A number of speakers from academia, industry, and government will present the latest developments in shale gas research. This event, which will be broadcast via Facebook Live, is an opportunity to hear first-hand from three of the Biology Meets Subduction team, Peter Barry, Karen Lloyd, and Donato Giovannelli. This training course will touch upon all relevant aspects of continental scientific drilling, including project planning and management, pre-site surveys, drilling engineering, sample handling and storage, on-site studies, downhole logging and monitoring, data management, and post-drilling measures. This meeting will bring together international scientists working on all aspects of serpentinization, a process that may have been important for the origin of life on Earth and perhaps other planets. 18 September 2018 Can a paid visiting scholar avoid conflict of interest?